For those you of who haven't heard, Nora Ephron hated her purse. That is, until she found the one she loved. My own purse relationship has been quite even-keeled, but my planner - forget it. It had to be weekly because I can see the week in my head. The daily gets me all jumbled and doesn't allow for planning (a day or two) ahead. It had to be big enough for me to take care of business but small enough to go along for the ride. It had to be spiral to lay flat which makes writing and flipping a cinch. It had to be flexible in content with additional daily spaces you can customize. My go to's: children's schedule, writing, personal goals and meal planning. It had to inspire. I am a sucker for inspirational quotes so I love them peppered throughout. 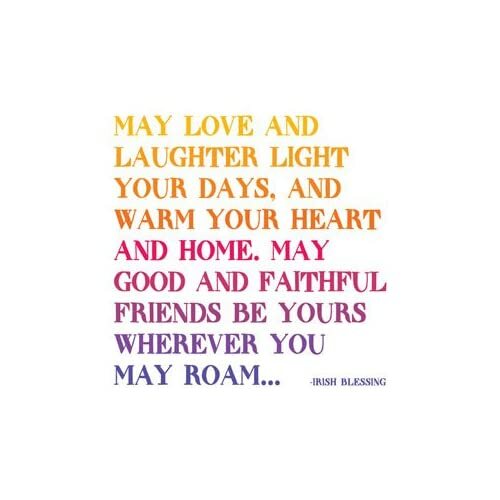 This week's was a great Irish blessing. It had to surprise me. Little did I know I would LOVE having dedicated pages for vacation planning, entertaining, books, wines, fashion, music, nutrition and health. I know I sound high-maintenance, but it was well worth the struggle...and the wait. The myAgenda Spiral Refill by momAgenda fits this bill to a T. And it lives in this Refillable Folio Cover (they had me at shimmering-spring-green and monogram). A match made in heaven! 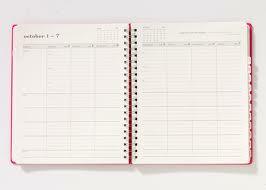 PS: This the myAgenda, they also sell the momAgenda. Enjoy!